We learn from all of the churches we work with. Periodically, it’s fun to recount the learnings and remind us all of some principles worth not forgetting. 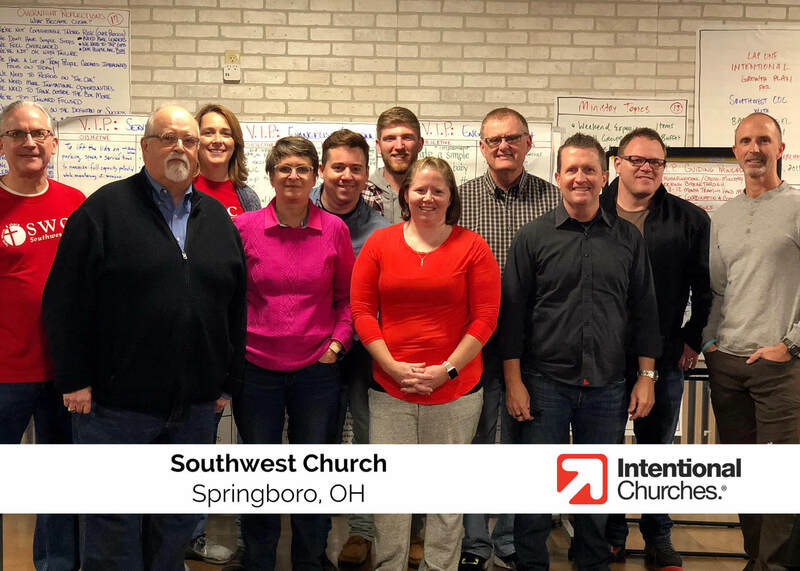 Southwest is a church in Springboro, OH. We recently had the privilege of installing the Intentional Growth Planning operating system. We look forward to working with them for the next year on service/capacity issues, lighting the fires of evangelism, and installing an effective engagement pathway along with decision-making clarity and more. Commitment to your calling matters. Challenges will be normative for churches that are trying to reach people for Christ – the battle is real. Remind yourself often of your church’s Great Commission calling, and don’t give up if the permanent facility takes longer to build than you thought or your pushing through staff changes. Southwest is committed to its calling. Be proactive about leadership unity. Sometimes your team is naturally benefiting from seasons where you have to “pull on the rope” together. As those seasons pass, the unity or brotherhood wanes as the project or season of work comes to an end. Be proactive about your leadership relationships at all times – when it’s naturally nurtured, and moreover, when it’s not. Southwest is committed to unity. Focus on The One must be constantly nurtured. As leaders we must keep the focus on the lost “white hot” at all times. If we don’t elevate our concern for the lost, many of those committed will lose site of it. Southwest is committed to reminding its church family about this core purpose. Be constantly open to learning. In this day and age there is no excuse to not seek learning and best practices from other churches, leaders, and outside sources. Growth naturally means going to places you haven’t been before. Never stop learning! The Southwest team are natural learners. Successful leadership teams can be made up of all types of people. I am often asked if a senior pastor or executive pastor fits a certain profile again and again. The answer is “no!” Senior pastors can be detailed guys or visionaries. Executive pastors can be super-detailed or entrepreneurial. The key is to be self-aware, and aware of your team dynamics so you can work together well and complement one another. Southwest is self-aware and clear about its team dynamics. Every church is unique, including yours. And the answers to your challenges are unique too. But there are principles like these that can ring true no matter your church’s size or style. We hope these are helpful.